The forward lashed home on the stroke of half-time to condemn the below-par Seasiders to a defeat that all-but ends their faint play-off hopes. 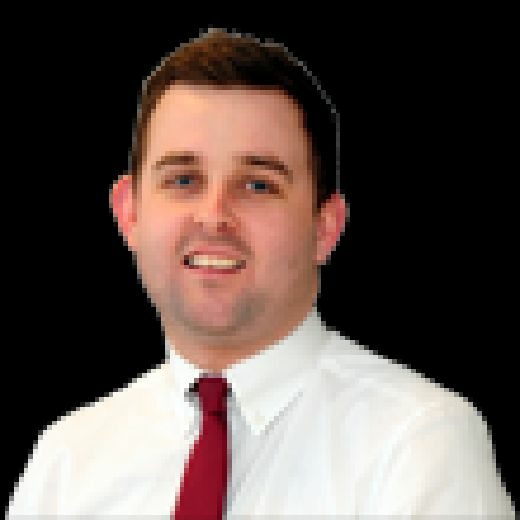 It means Terry McPhillips’ men have now won just one of their last ten games at Bloomfield Road, and have yet to record three points on home turf since the supporters have returned from their four-year boycott. The result sees Pool drop down to 10th in League One, 11 points off sixth-placed Doncaster Rovers with just four games of the campaign remaining. After last week’s impressive effort against league leaders Luton Town, it was perhaps no surprise to see the Seasiders name an unchanged line-up. Myles Boney’s return from injury meant Pool were able to name a goalkeeper on the bench, a luxury they couldn’t afford at Kenilworth Road. Nick Anderton, Callum Guy, Chris Taylor and Joe Dodoo were all left out of the squad while Mark Howard, Jimmy Ryan and Max Clayton remain sidelined with long-term injuries. 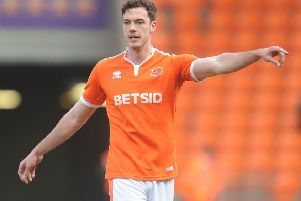 Former Blackpool loanee Callum Cooke was named among the substitutes for the away side. The away side were the quickest out of the blocks but it was Blackpool who created the first opening, and it was a good one too. Armand Gnanduillet beat Posh keeper Aaron Chapman to Liam Feeney’s left-wing cross but could only direct his header wide with the goal at his mercy. Feeney was again the creator as he laid the ball off to Marc Bola after reaching the byline, only for the left-back to flick his first-time effort well over the bar. Peterborough’s first opening of the afternoon came via the boot of Ivan Toney, who flashed a low shot just past the post from 30 yards out after Curtis Tilt had given the ball away in a dangerous area of the pitch. While Darren Ferguson’s men were enjoying the better of possession, it was the Seasiders who continued to create the better chances with Feeney again involved in the thick of the action, glancing a header over the bar from a corner. The Posh almost took the lead through a moment of individual brilliance when Ivan Toney lashed a volley against the woodwork. It came after defender Ryan Tafazolli was allowed too much time and space to roam out from the back, clipping a 50-yard ball into the striker who hit a superb first-time volley onto the top of the crossbar. Two minutes before the interval, Peterborough broke the deadlock with a clinical finish from dangerman Marcus Maddison. The Seasiders were carved open far too easily after losing possession on the halfway line, the ball being flicked into the box for Maddison to run onto and he made no mistake, lashing a fierce effort into the back of the net. Blackpool fans had appealed for a handball from a Peterborough player in the build-up to the goal, but there was still no excuse for the ease in which the away side opened them up. The Posh looked to build on their advantage at the start of the second period, going close through Toney who hit a volley into the ground only for it to bounce up into the grateful hands of Christoffer Mafoumbi. McPhillips acknowledged something needed to change from Pool’s perspective and that’s why, just before the hour-mark, he made a double change and changed to a 3-5-2 system. The change almost paid off immediately, Long doing well to work his way to the byline before pulling the ball back to Nya Kirby whose low shot was blocked inside the six-yard box. Pool began to probe more often, Long again doing well to provide a teasing cross that almost reached Gnanduillet in the centre only for him to be beaten to the ball at the last moment. With Pool looking for a late leveller, that created chances for Posh on the break. One of these saw Maddison break through the middle as he did for his goal, only to blaze over on this occasion. At the other end, Long let fly from 30 yards but his effort rocketed just over the crossbar, before Matty Virtue saw his curled-effort saved at the second attempt by Aaron Chapman. 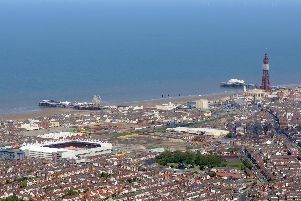 The Seasiders threw the kitchen sink at the Posh in the dying stages but they were unable to repeat the late miracles of their previous home games, with the away side holding on for the three points.